On a rain-soaked October evening, Friends, fund-holders and supporters of CCF visited Landulph Memorial Hall to see local projects that have been recipients of grant funds managed by the Foundation. Afterwards guests met at Pentillie Castle, by kind invitation of Ted and Sarah Coryton, to hear a presentation by Nikki Markham, Director of award-winning community interest companies, Work Skills South West and Battling On. Since 2009 Landulph Memorial Hall has been awarded five grants by CCF amounting to £15,903. This has included £9,653 from the Howton Solar Farm Fund. Members of the Hall Committee explained how funding has been essential to the Hall’s success and the importance of the Hall as a focal point in a vibrant rural community. Landulph Under Fives Pre-School, who have dedicated facilities at Landulph Memorial Hall and now meet 5 days a week, have received £11,903 in funding. The CCF supporters were taken on a guided tour of the Hall and Pre School facilities, including seeing the hall in operation with a Halloween Party organised by the Pre School. 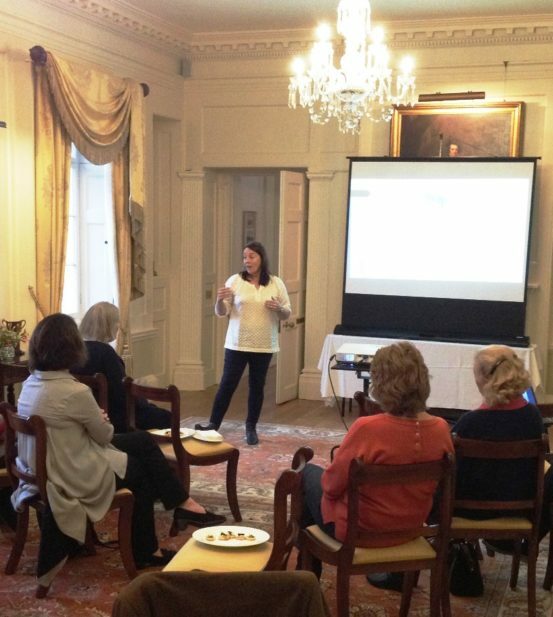 At Pentillie Castle, Friends and supporters were treated to a presentation by Nikki Markham. Nikki explained the importance of funding from the Foundation in the development of Work Skills South West and Battling On, supporting work with disadvantaged young people and young people and adults with learning difficulties. Since 2011 the Foundation has invested £57,760 in Work Skills South West and Battling On, with 22 grant awards from 13 different funds.